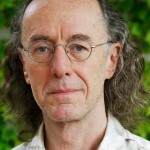 A native of Glasgow, Graham Parkes taught Asian and comparative philosophy at the University of Hawaii for almost thirty years before moving to University College Cork, in Ireland, in July 2008. He is currently a Professorial Research Fellow at the Institute of Philosophy, University of Vienna, and a Visiting Professor of Philosophy (one month in the year) at East China Normal University in Shanghai. His research interests are intercultural philosophy (Continental European and East-Asian), environmental philosophy, and philosophies of art and film.